The PS3 Slim is a good news story for Sony, as its cheaper price will allow the console to be more competitive in a market where it's currently sitting dead last. But it's not all good news. 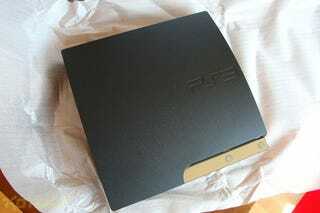 Unlike previous models of the PS3, the Slim won't let users install their own operating systems. Well, it might if you can hack one in there, but it's no longer officially supported, with Sony offering help, guides etc. This will be a blow to those who liked to mix things up, and take advantage of the flexibility installing an OS like Linux bestowed upon their PS3. Now that it's here, we're quite impressed with the PS3 Slim, mostly because it's cheaper, and the PS3 needed to be cheaper. But would it really have hurt to keep the nerds happy and just leave the Linux compatibility as is?